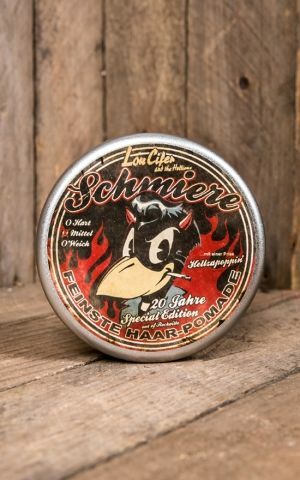 You like it greasy? 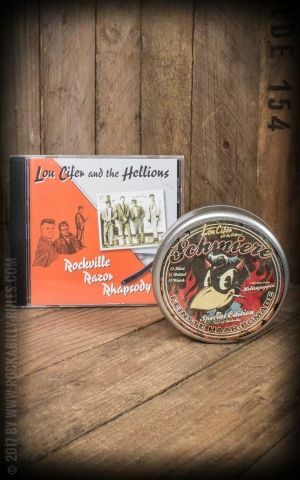 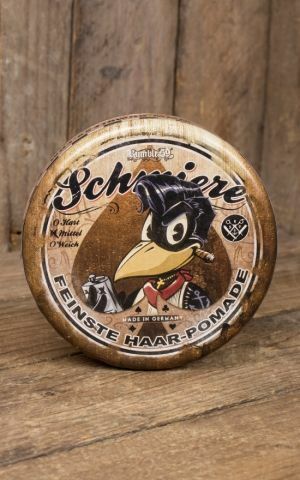 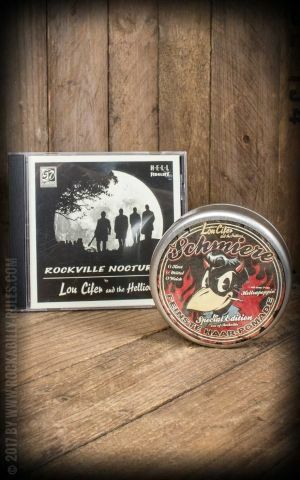 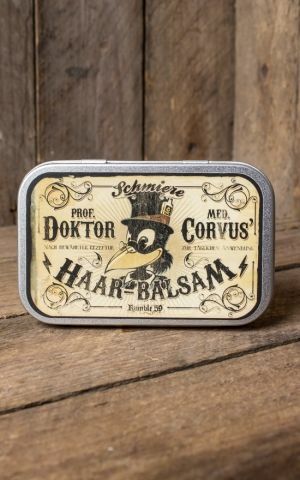 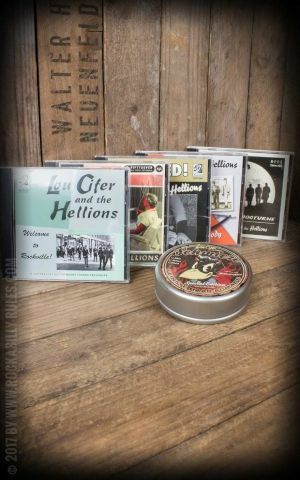 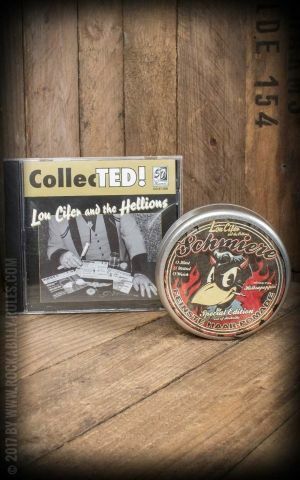 Here you find the complete sortiment of pomades by the raven gang for a proud plumage in rockabilly style: soft, medium and hard pomades, special editions and hair grease for girls only. 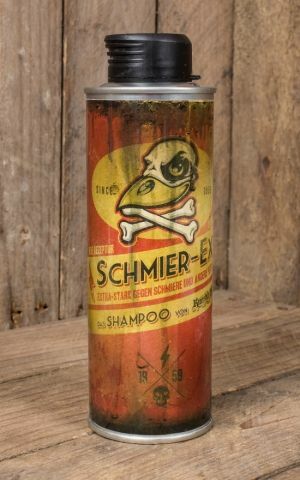 For cleaning your hair at the end of the day we recommend Schmier Ex Shampoo. 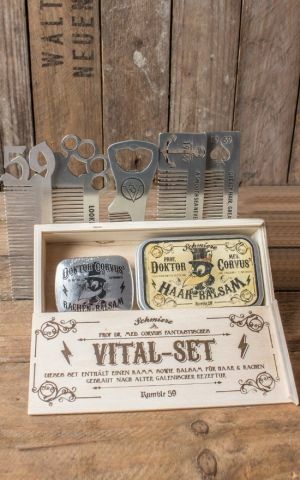 Also available in our shop: our popular sets with carefully selected styling products for teddy boys and teddy girls. 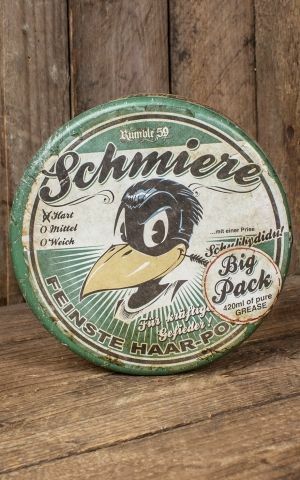 Every raven has a different plumage. 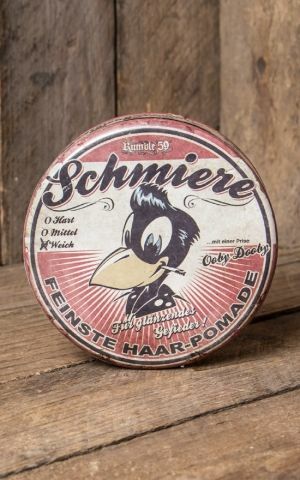 In some cases everything just falls into place, in others the feathers are sticking out like after an emergency landing. 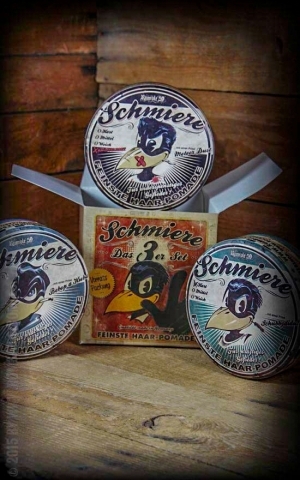 This is the reason why there are many different varieties of Schmiere. 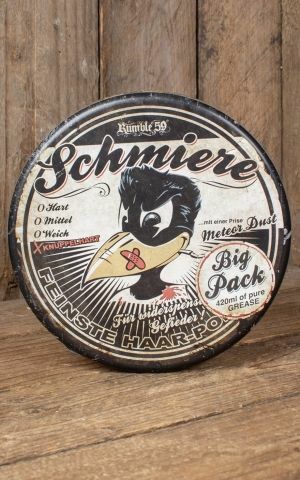 After all everybody has a right to wear a nice quiff. 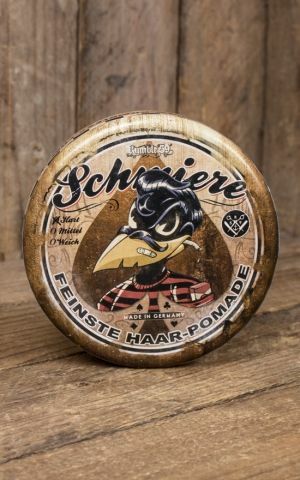 You are looking for something different? 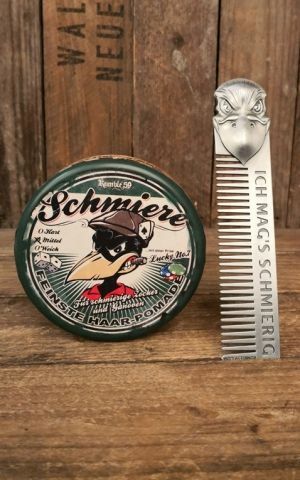 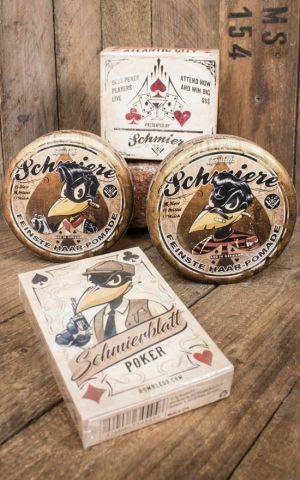 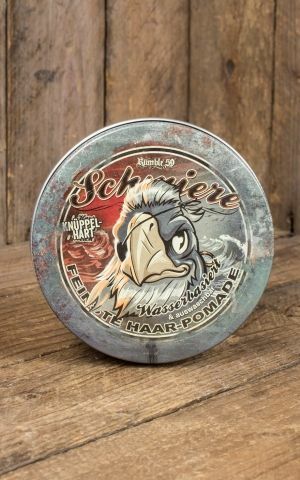 Schmiere Special Editions by Rumble59 are an impressive proof for the passion and creativity of our feathered hair experts. 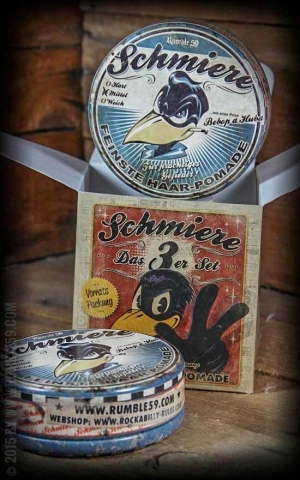 Available in beautiful tins and with different fragrances, they open up new possibilities - for example with easy to wash out waterbased pomade or pomade with a enticing lavender scent. 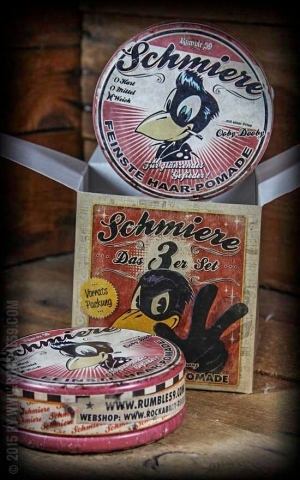 Especially for rockabellas and teddy girls there is Schmiere smelling linke strawberry vanilly icecream. 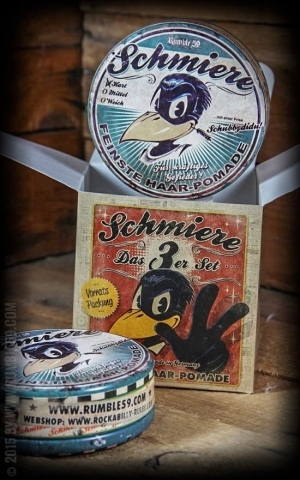 One is not enough? 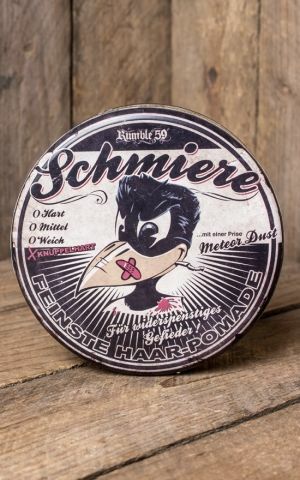 Restock your supplies with one of our sets or make someone in your environment a present - for example a gift box by Rumble59 including a comb and microfibre cloth or our legendary schmiere wobbler. 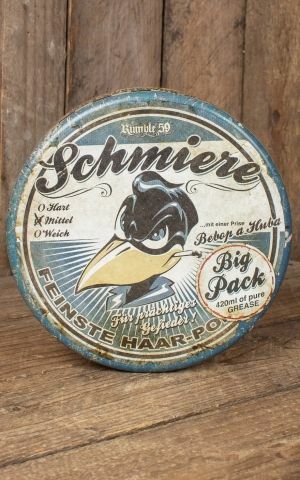 Even for cleaning procedures in the evening the raven gang has something to offer. 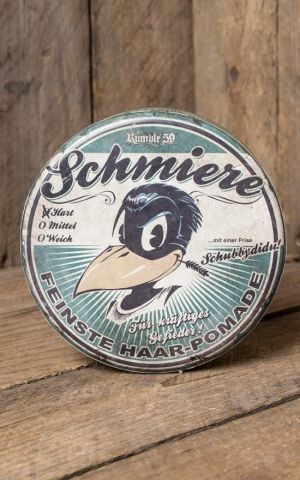 Schmier Ex Shampoo, helps you to get pomade out of your hair and keep your pillow clean. 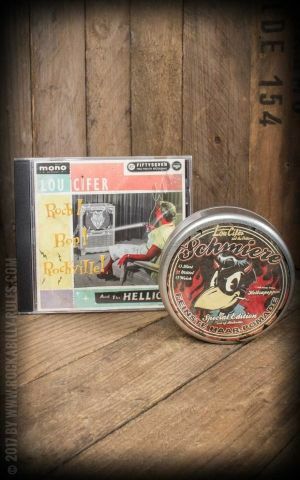 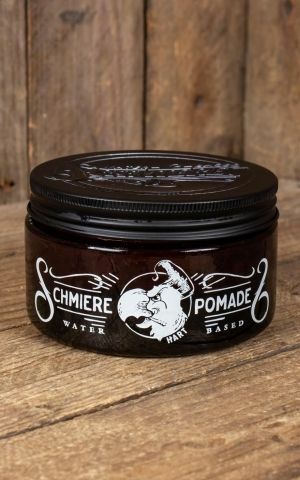 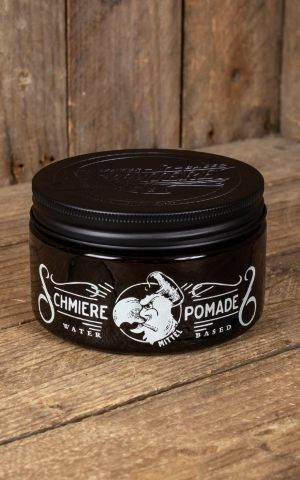 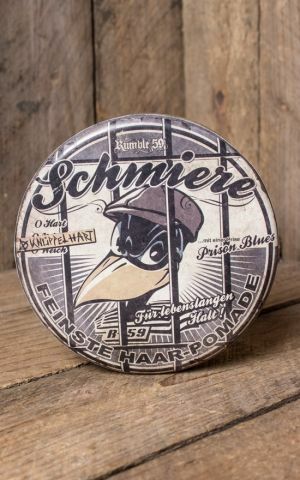 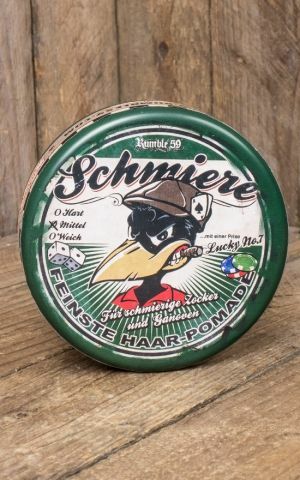 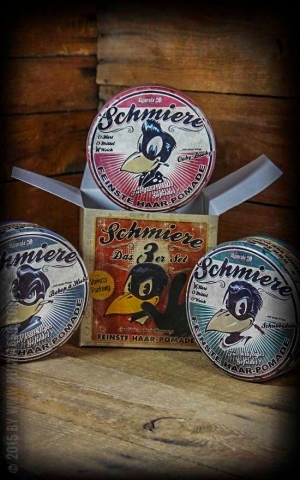 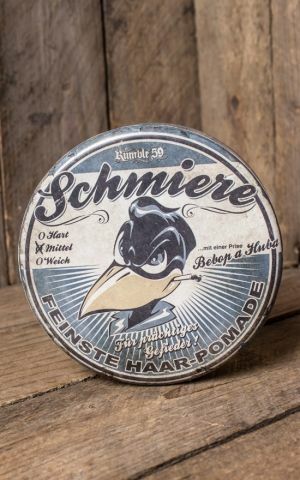 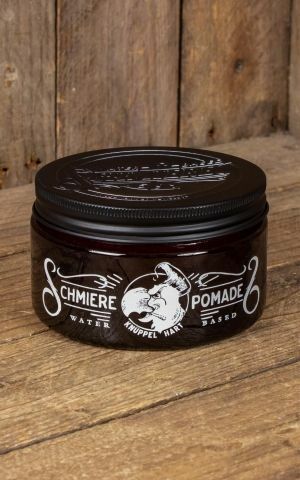 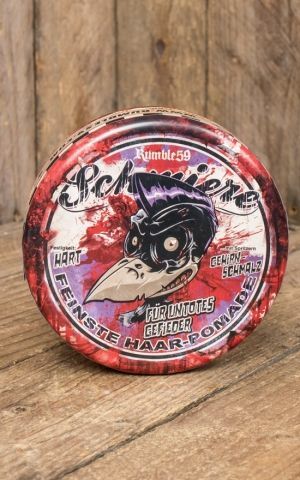 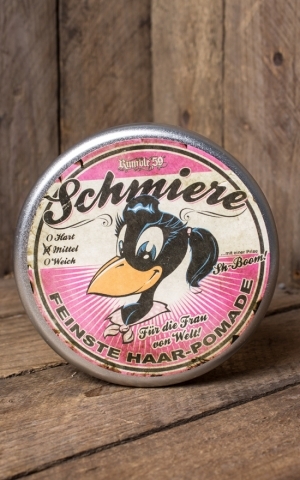 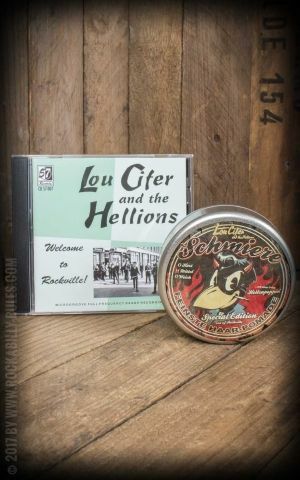 Get your hair in shape now with Schmiere Pomade by Rumble59!